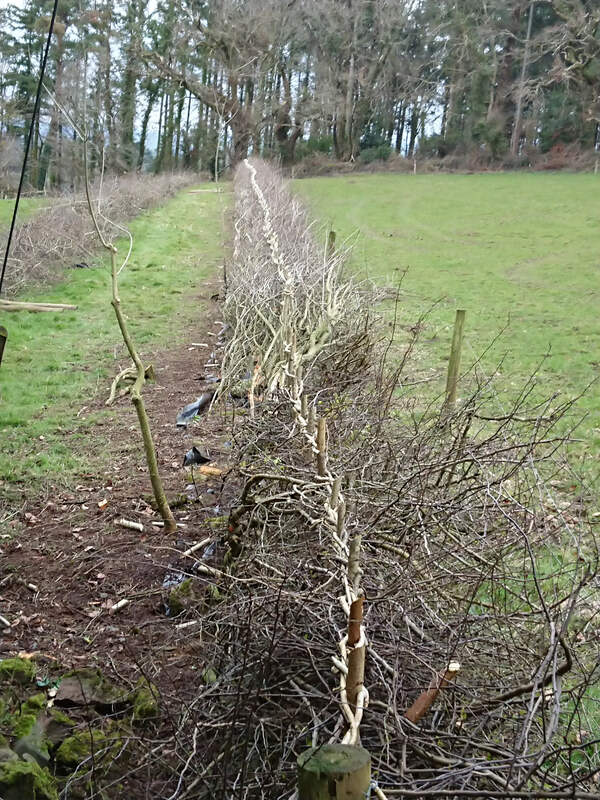 The traditional skill of Hedge Laying goes back to pre-history and is mentioned in the Doomsday Book from the 10-11th century, Hedge-laying has been practiced as a Hedgerow/land management skill to protect land and crops from stock animals since the 16-17th century Enclosures Acts to the present day. 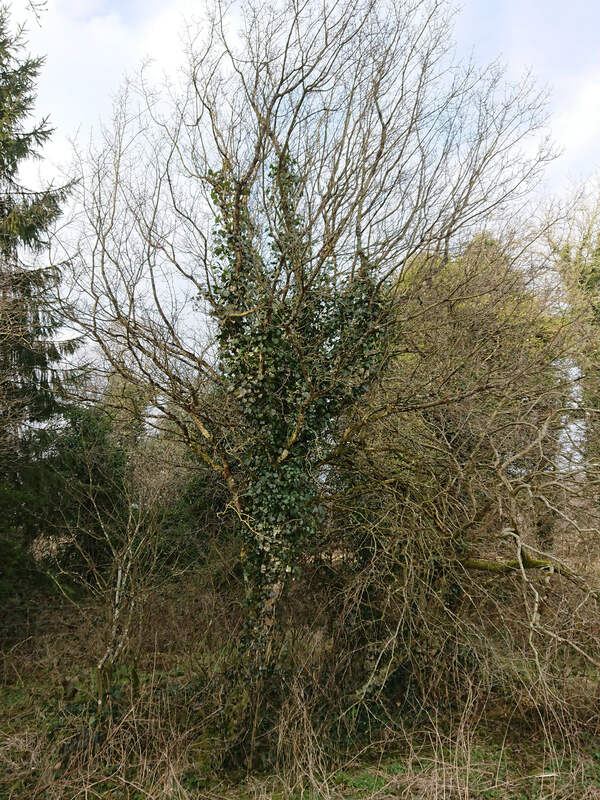 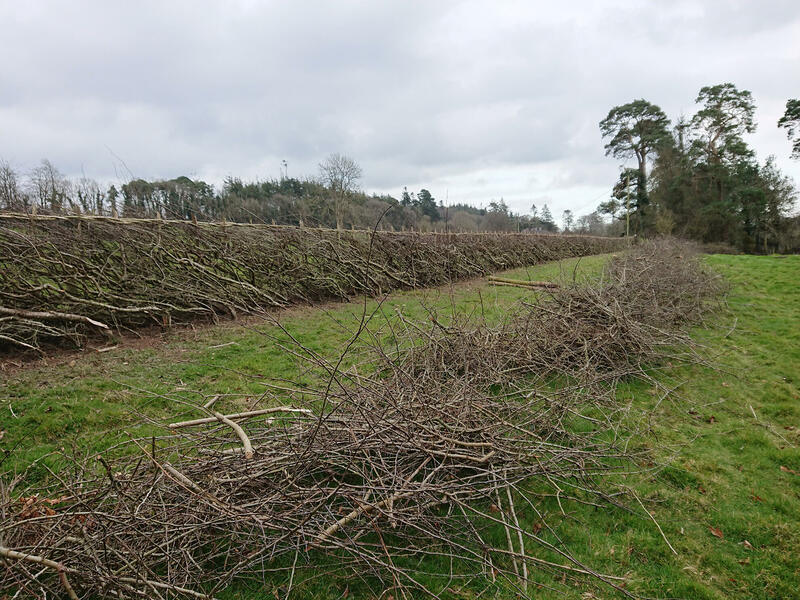 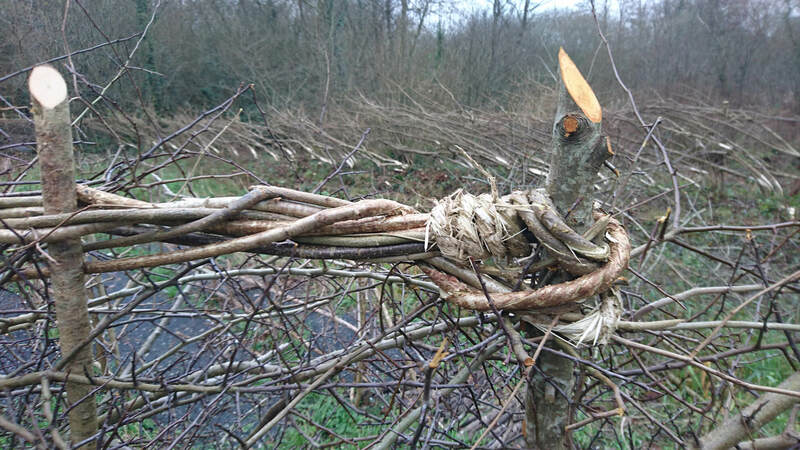 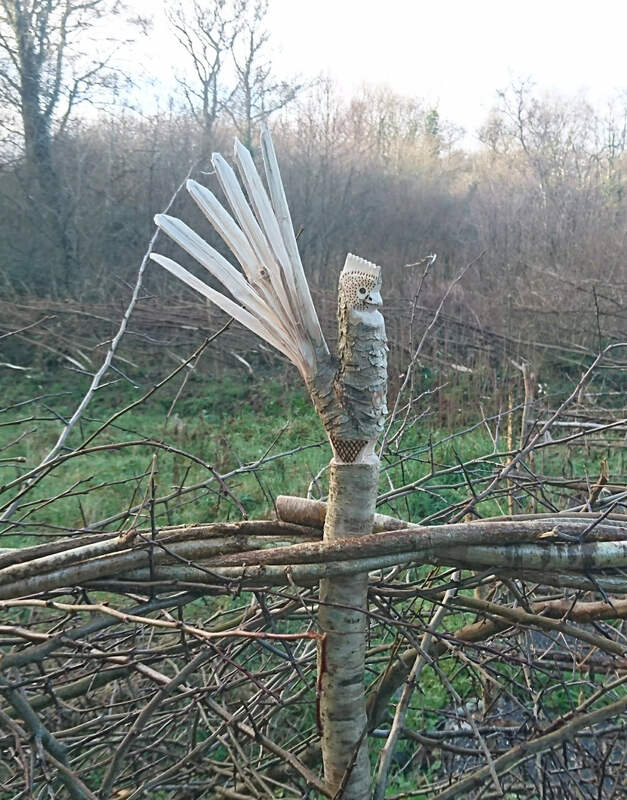 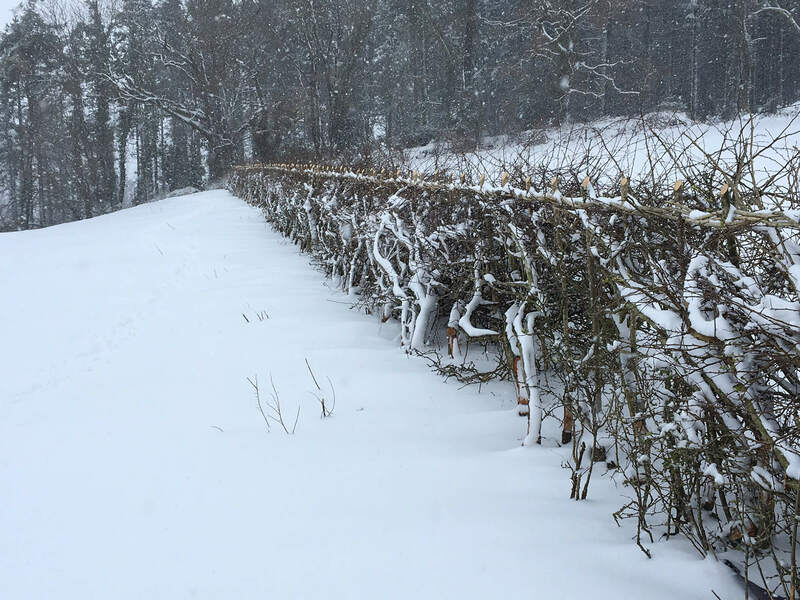 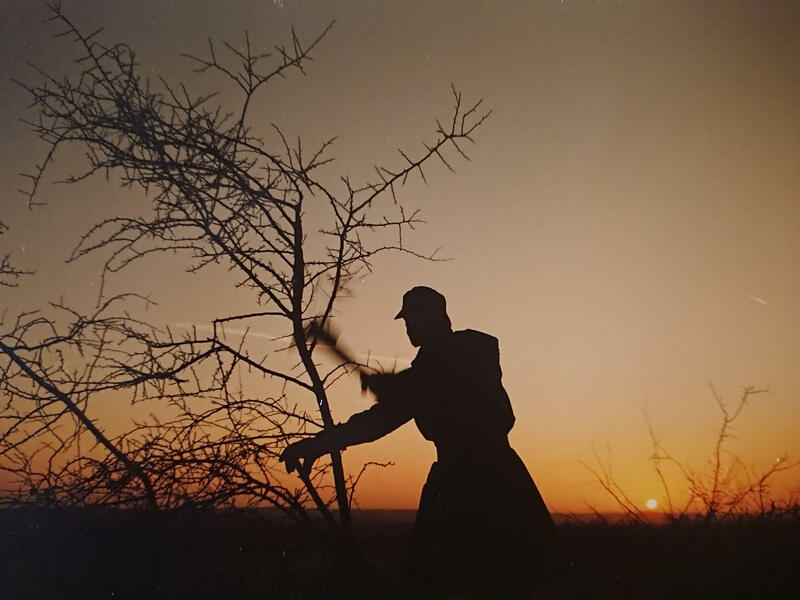 There are many styles of Hedge Laying in Great Britain and Ireland, these styles change to suit the Geographical, Topographical situations and the diverse hedgerow types. 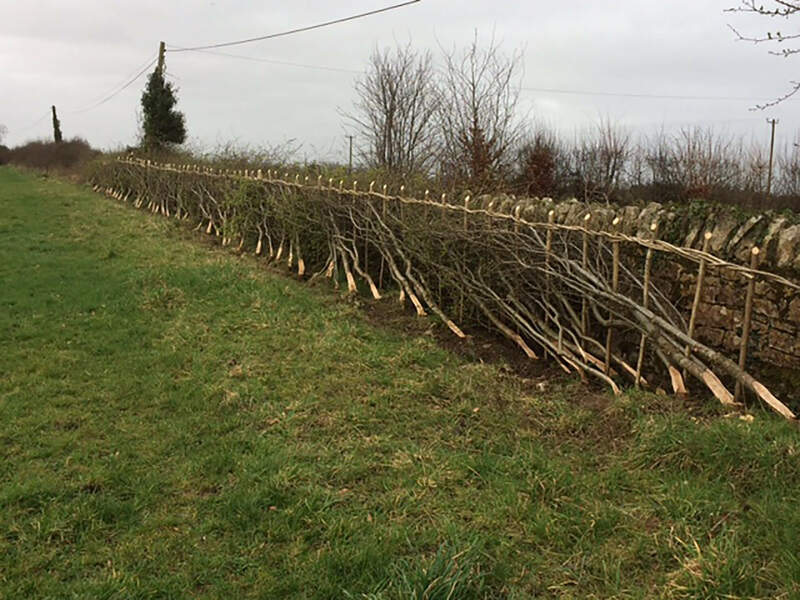 A recognisable Irish standard style was laid down by the H.L.A.I (Hedge Laying Association of Ireland) and the N.T.P.C. 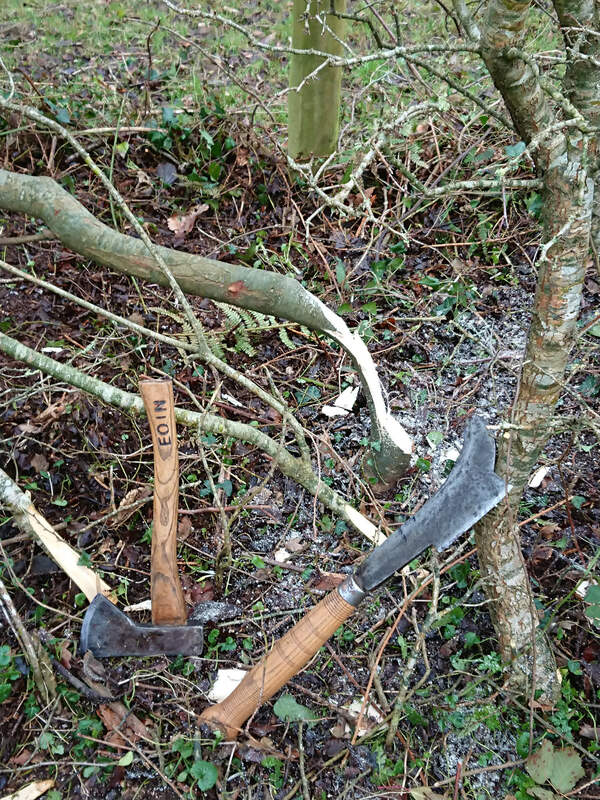 New practitioners to the skill are trained and Certified to this high standard. 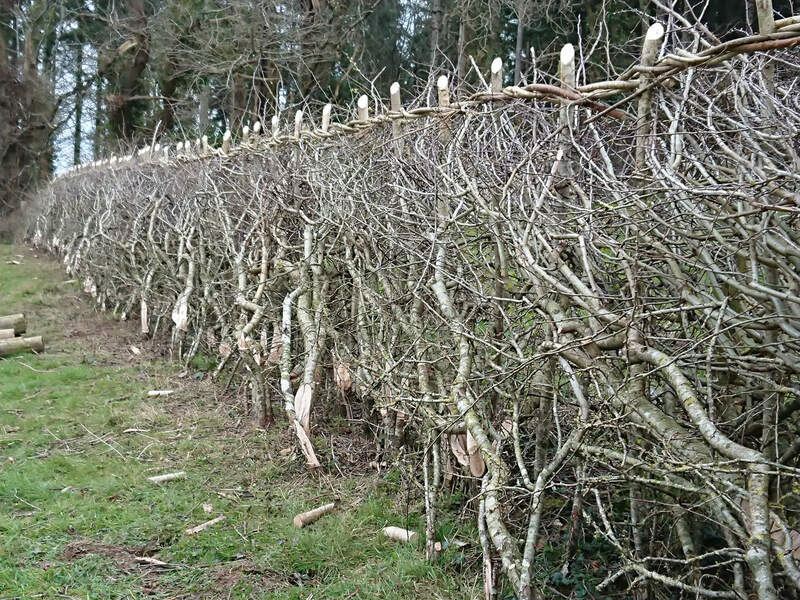 The basic principals of all styles of Hedge-laying are the same. 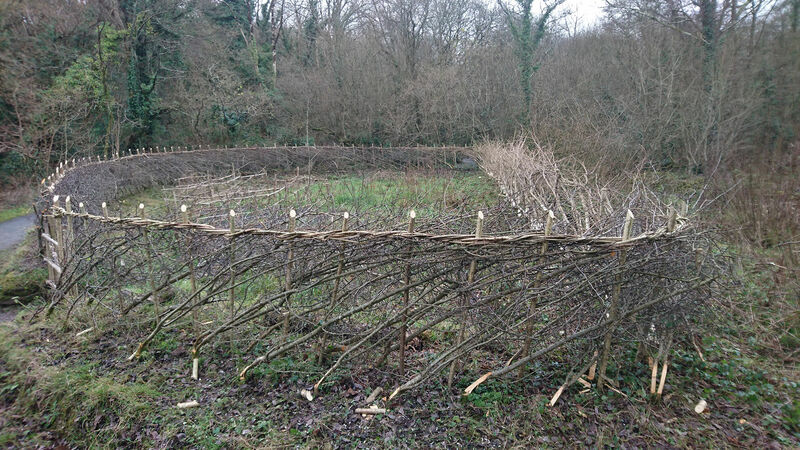 The selected stems (Pleachers) are cut 80% of the way through cutting down to form a long living hinge at the very base of the Pleacher, the Pleacher can then be laid down at an angle of 25-45 degrees , the Pleachers are interwoven together and around hazel stakes, the hedge is then bound off with Hazel rods from stake to stake to form a continuous strong stock proof hedgerow. 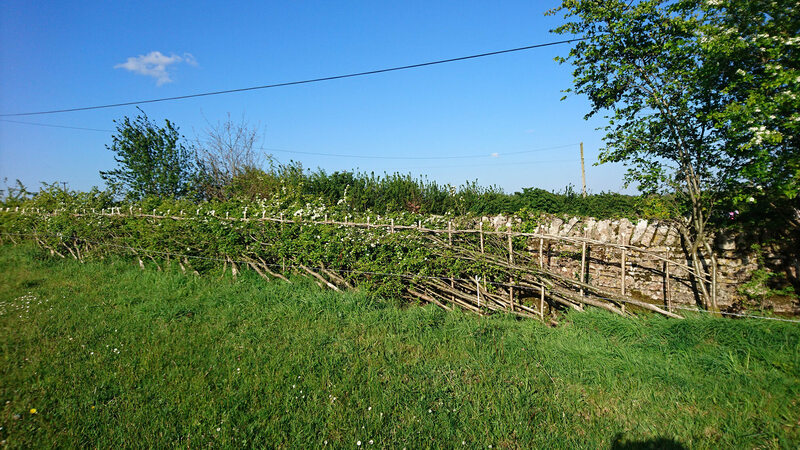 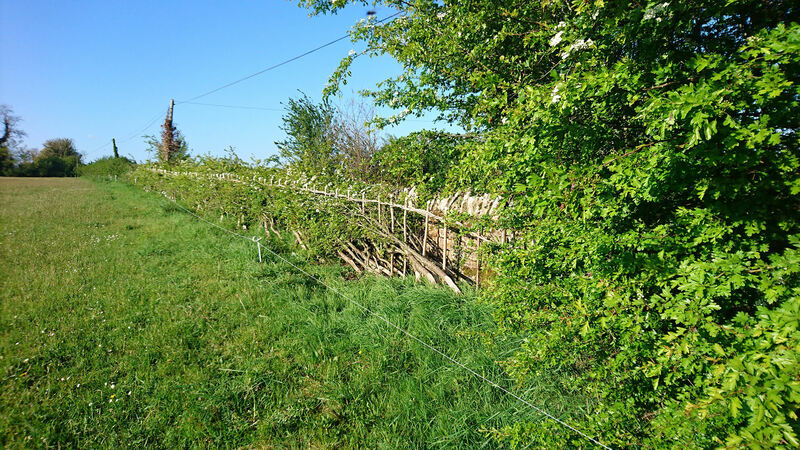 There are many benefits to laying hedgerows, the rejuvenation the hedge from the base, the retention of an existing Habitat, increased biodiversity, a stock proof barrier and many more. 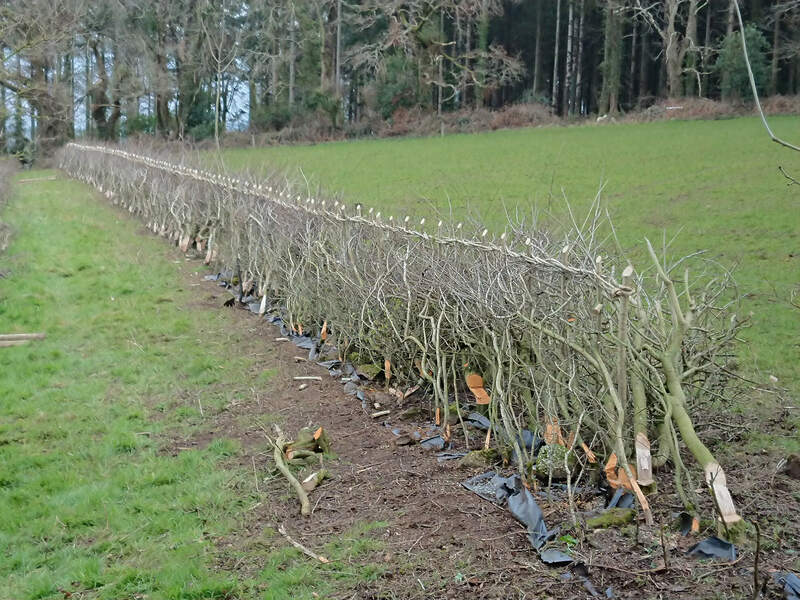 All Laid Hedgerows must be protected from browsing/grazing stock.